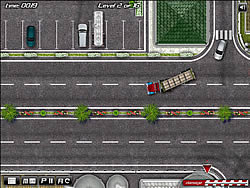 Complete tasks as a driver of the big rig. Deliver goods all over the living town. Do not damage your truck and don't run over people. The faster you do your job, the more score you will get.